And we are writing these things so that our joy may be complete (v. 4). The author of 1 John was probably the apostle John. (There are many similarities between 1 John and the Gospel of John.) John probably wrote this letter while he was living in Ephesus. It was probably sent to churches in cities near Ephesus. A possible date for 1 John is the early nineties A.D. Sometime before the writing of 1 John, a group of people left John’s church over a disagreement about the doctrine of Christ. John calls these people “antichrists” (2:18) and says, “They went out from us, but they were not of us; for if they had been of us, they would have continued with us. But they went out, that it might become plain that they all are not of us” (2:19). These people professed to be Christians, but they were not real Christians. We can’t be joyful Christians if we have doubts about our faith, so we must make sure that we are real Christians. One of John’s favorite descriptions of a real Christian is a person who has eternal life (1:1; 2:25; 3:15; 5:11-13, 20). Of the 136 occurrences of “life” (zoe) in the NT, 66 of them are found in John’s writings. John wrote his Gospel so that people might receive eternal life by believing in Jesus. “Now Jesus did many other signs in the presence of his disciples, which are not written in this book; but these are written so that you may believe that Jesus is the Christ, the Son of God, and that by believing you may have life in his name” (John 20:30-31). John wrote 1 John so that people who have believed in Jesus would know they have eternal life. John wants his readers to be sure that they are real Christians: “I write these things to you who believe in the name of the Son of God that you may know that you have eternal life” (5:13). What Is True of a Real Christian? How can we be sure that we are real Christians? Like there are tests for authenticating signatures, there are tests for authenticating Christians. 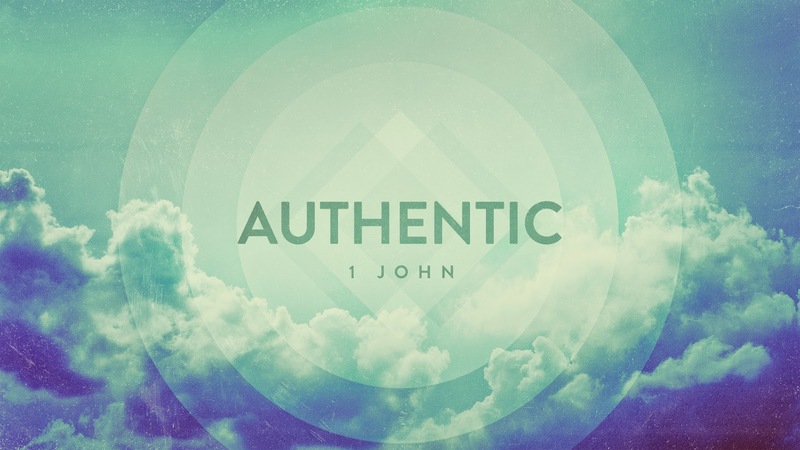 In 1 John, we find three tests for authenticating a Christian: the moral test, the social test, and the doctrinal test. 1. A real Christian obeys God. This is the moral test. “And by this we know that we have come to know him, if we keep his commandments. Whoever says, ‘I know him’ but does not keep his commandments is a liar, and the truth is not in him” (2:3-4). 2. A real Christian loves others. This is the social test. “If anyone says, ‘I love God,’ and hates his brother, he is a liar; for he who does not love his brother whom he has seen cannot love God whom he has not seen” (4:20). 3. A real Christian believes the truth about Jesus Christ. This is the doctrinal test. In John’s day, there were people who claimed to have eternal life but denied that “Jesus is the Christ” (2:22) and that “Jesus Christ has come in the flesh” (4:2; cf. 2 John 1:7). These people might have been the ones mentioned in 2:19 who had left John’s church. John was certain that Jesus was “the Christ” and that he had “come in the flesh.” In the Gospel of John, John refers to himself as “the disciple whom Jesus loved.” This disciple (1) “recline[ed] at table close to Jesus” (13:23), (2) stood by the cross of Jesus (19:25-27), (3) looked inside the empty tomb of Jesus (20:1-8), and (4) ate breakfast with the risen Jesus (21:1-14). John is talking about these events and others in 1 John 1:1-2: “That which was from the beginning, which we have heard, which we have seen with our eyes, which we have looked upon and have touched with our hands, concerning the word of life—the life was made manifest, and we have seen it, and testify to it and proclaim to you the eternal life, which was with the Father and was made manifest to us.” John's eyewitness testimony about Jesus is like a person who was present when one of my baseball cards was signed. This person would know for sure if the signature was authentic or not. In 1:1-2, John is obviously talking about his encounters with Jesus, but he refers to Jesus as “the eternal life.” Why? Eternal life is only possible because of the life, death, and resurrection of Jesus. “God gave us eternal life, and this life is in his Son. Whoever has the Son as life; whoever does not have the Son of God does not have life” (5:11-12; cf. 5:20). In 1:3-4, John states two of his purposes for writing 1 John: “That which we have seen and heard we proclaim also to you, so that you too may have fellowship with us; and indeed our fellowship is with the Father and with his Son Jesus Christ. And we are writing these things so that our joy may be complete.” (Some manuscripts have “your” instead of “our” in verse 3.) When we know that we have eternal life (5:13) and know that we have fellowship with God, we will be joyful. In 2012, a document signed by George Washington sold for more than $9 million. Imagine that you have a document signed by a famous historical person that, if authentic, would sell for $1 million. Also imagine that you’re counting on the money from the sale of the signed document to be your retirement savings. How would you feel if you didn’t know for sure that the signature was authentic? If I were in that situation, whenever I thought about my retirement, I would have anxious thoughts, not joyful thoughts. Making sure you have enough money for your retirement is important. But making sure you have eternal life is infinitely more important. And [the angel] said to them, “Do not be alarmed. You seek Jesus of Nazareth, who was crucified. He has risen; he is not here. See the place where they laid him” (v. 6). What about the resurrection of Jesus? We are often afraid to share the good news of the resurrection. Why? (There is a difference between a woman sharing the good news of her engagement with her mother and a Christian sharing the good news of the resurrection with someone who might not want to hear it.) There is the fear of offending people, the fear of getting tongue-tied, and the fear of being ridiculed. There is no better news than the good news of the resurrection, so we must overcome our fear and share it. How can we overcome our fear of sharing the good news of the resurrection? We should constantly remind ourselves of two truths. 1. There is an abundance of evidence in favor of the resurrection. The case for the resurrection of Jesus is sort of like a murder case. A murder case is usually built on several pieces of evidence. The case for Jesus’ resurrection can also be built on several pieces of evidence. (Of course, a defense attorney usually has an explanation for every piece of evidence against the defendant, just like the skeptics have an explanation for every piece of evidence in favor of the resurrection.) Some of the pieces of evidence in favor of the resurrection include (1) the empty tomb, (2) the disciples’ belief that they had really seen the risen Jesus, (3) the conversion of a former skeptic like Paul, and (4) the growth of Christianity. The women being the first witnesses of the empty tomb is a detail that adds to the genuineness of Mark’s account. “Unless women were actually present at the tomb, the early church would scarcely have placed them there since Judaism did not accept the testimony of women” (James R. Edwards, The Gospel according to Mark, 492). The resurrection accounts are not “cleverly devised myths” (2 Peter 1:16). Skeptics will argue that the Gospels don’t agree on which women went to the tomb of Jesus. Mark says that three women went to the tomb (Mary Magdalene, Mary the mother of James and Joses, and Salome), while John mentions only Mary Magdalene. But we shouldn’t expect the Gospel writers to mention every single detail. There would only be a contradiction if John had written that only Mary Magdalene went to the tomb. 2. There is a need for people to hear about the resurrection. The first sharing of the good news was done by the angel at the tomb: “Do not be alarmed. You seek Jesus of Nazareth, who was crucified. He has risen; he is not here. See the place where they laid him” (v. 6). And then the angel said to the women, “Go, tell his disciples” (v. 7). Sometimes being silent can have negative consequences for others. Back in my younger days, I was in the passenger seat of a dump truck as the driver was backing up the truck. I assumed he could see the car behind him, so I didn’t say anything. Unfortunately, he didn’t notice the car. The destiny of people is a much more serious thing than the destiny of a car. There are people all around us who need to hear the gospel. People can’t receive eternal life unless they hear about the death, burial, and resurrection of Jesus. “Faith comes from hearing, and hearing through the word of Christ” (Rom. 10:17). What if 16:8 Had Been the End of the Story? Who in your life needs to hear the good news of Jesus’ resurrection? Last week I was a guest on the Faith and Skepticism podcast. The topic was the resurrection of Jesus. Though we didn't all agree on the resurrection, it was a good and friendly discussion. So also the chief priests with the scribes mocked him to one another, saying, “He saved others; he cannot save himself. Let the Christ, the King of Israel, come down now from the cross that we may see and believe” (vv. 31-32). It’s one thing to be mocked, but it’s another thing to be mocked while you are suffering. During his trial, his scourging, and his crucifixion, Jesus was continually mocked. In most people’s eyes, Jesus was a pathetic fool who thought he was something that he really wasn’t. In Mark 15, Jesus was mocked by four groups of people as he was scourged and crucified. (1) The Roman soldiers “mocked [Jesus]” (v. 20; cf. vv. 17-19). (2) “Those who passed by derided him, wagging their heads and saying, ‘Aha! You who would destroy the temple and rebuild it in three days, save yourself, and come down from the cross!’” (vv. 29-30). (3) “The chief priests with the scribes mocked him to one another, saying, ‘He saved others; he cannot save himself. Let the Christ, the King of Israel, come down now from the cross that we may see and believe’” (vv. 31-32). (4) “Those who were crucified with him [the “two robbers,” v. 27] also reviled him” (v. 33). Since Jesus was mocked, it should come as no surprise that his followers are also mocked. (Sometimes Christians invite mockery because of sinful or foolish behavior.) How do you feel when you are mocked for your love for Jesus? We must never be ashamed of the one who was crucified for our sins. In the minds of his enemies, Jesus’ crucifixion proved that he was not really who he had claimed to be. They believed that the words of Deuteronomy 21:23 applied to Jesus: “a man hanged is cursed by God.” The cry of Jesus from the cross seemed to support this belief: “My God, my God, why have you forsaken me?” (v. 34). Some of the bystanders thought that Jesus was calling Elijah (vv. 35-36). In Aramaic, “God” (Eloi) and “Elijah” (Eli) sound similar. In Jesus’ day, many Jews believed that Elijah had been taken bodily into heaven without dying (2 Kings 2:11) and that he would return in times of crisis to protect and rescue the righteous (James R. Edwards, The Gospel according to Mark, 476). The mockers of Jesus “esteemed him stricken, smitten by God, and afflicted” (Isa. 53:4). The mockers were partly correct. On the cross, Jesus was punished by the Father. But he was not punished for his own sin; he was punished for our sin. On Jesus was laid “the iniquity of us all” (Isa. 53:6). This is why he was forsaken by the Father. When our love for Jesus is mocked, we should remember three truths. 1. The gospel will never be cool. The apostle Paul writes, “We preach Christ crucified, a stumbling block to Jews and folly to Gentiles” (1 Cor. 1:23). 2. Some of the mockers will become believers. The Roman soldiers mocked Jesus, but one soldier eventually believed in him. “When the centurion, who stood facing [Jesus], saw that in this way he breathed his last, he said, ‘Truly this man was the Son of God!’” (v. 39). The people who passed by the cross mocked Jesus, but one passerby might have eventually believed in him. “[The Roman soldiers] compelled a passerby, Simon of Cyrene, who was coming in from the country, the father of Alexander and Rufus, to carry his cross” (v. 21). Mark’s readers knew Alexander and Rufus, which makes it probable that Simon’s sons were believers. Many scholars believe that Mark wrote to Christians in Rome, and a man named Rufus is mentioned in Romans 16:13. The two robbers who were crucified with Jesus mocked him, but one robber eventually believed in him (Luke 24:39-43). 3. In the end, there will be vindication. When Jesus cried, “My God, my God, why have you forsaken me?”, he was quoting Psalm 22. The psalm begins with David in despair. God doesn’t seem to be with him (vv. 1-8) But David ends the psalm with confidence, knowing that he will eventually be vindicated (vv. 22-31). “Who for the joy that was set before him endured the cross, despising the shame” (Heb. 12:2). The chief priests and scribes mocked him, saying, “He saved others; he cannot save himself” (v. 31). They would have spoke the truth if they had changed one word: “He saved others; he didn’t save himself.” “The Son of Man came not to be served but to serve, and to give his life as a ransom for many” (Mark 10:45). Should we be ashamed of Jesus? Should we be ashamed to share the message of his death and resurrection? So Pilate, wishing to satisfy the crowd, released for them Barabbas, and having scourged Jesus, he delivered him to be crucified (v. 15). 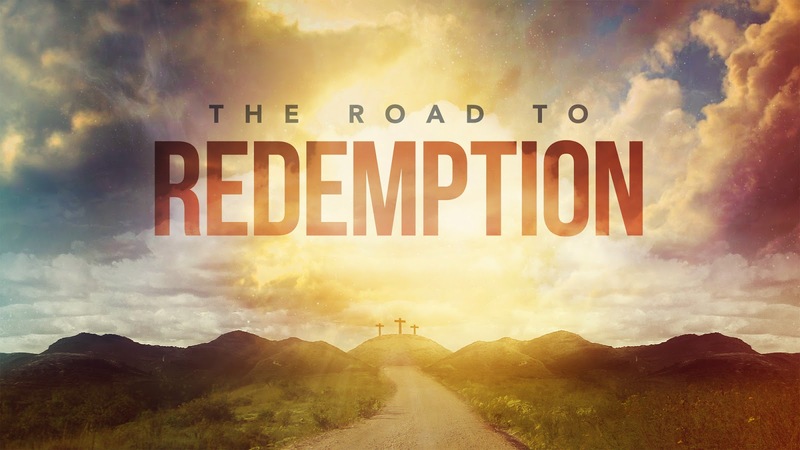 In Mark 10:33-34, Jesus said to his disciples, “See, we are going up to Jerusalem, and the Son of Man will be delivered over to the chief priests and the scribes, and they will condemn him to death and deliver him over to the Gentiles. And they will mock him and spit on him, and flog him and kill him.” This is exactly what happens in Mark 15. Jesus chose to suffer and die in my place, so I should choose to live for him. Even before his crucifixion, Jesus suffered indescribable pain and awful mockery. The soldiers “scourged Jesus” (v. 15). The Gospel writers don’t sensationalize the scouring of Jesus, but we shouldn’t be unaware of its savagery. Scourging “was done with a whip made up of several leather straps to which were attached sharp, abrasive items, such as nails, glass, or rocks” (Craig Evans, Mark 8:27-16:20, 484). “They clothed him in a purple cloak” (v. 17). The Sanhedrin mocked Jesus’ claim of divine status (14:65); the soldiers mocked Jesus’ claim of royal status. “Twisting together a crown of thorns, they put it on him” (v. 17). “They began to salute him, ‘Hail, King of the Jews!’” (v. 18). “They were striking his head with a reed” (v. 19). They were “spitting on him” (v. 19). They were “kneeling down in homage to him” (v. 19). In that day, there was a custom during the Passover of releasing a prisoner chosen by the people. Pilate gave the people a choice: Jesus or Barabbas. Sadly, the crowd chose Barabbas. 3. Barabbas was set free because Jesus died instead of him. Jesus was not a lawbreaker. Pilate said, “I find no guilt in him” (John 18:38). Jesus did not deserve punishment. Yet Barabbas was set free, and Jesus was crucified. The Bible says that Jesus “suffered once for sins, the righteous for the unrighteous, that he might bring us to God” (1 Peter 3:18). Jesus suffered and died in our place. I am Barabbas. You are Barabbas. Amazement over the words and actions is a recurring theme in Mark’s Gospel (1:27; 2:12; 5:20, 42; 6:6, 51; 9:15; 10:24, 32; 15:5, 44). Pilate was “amazed” (v. 5) when Jesus didn’t defend himself against the accusations of chief priests. We often talk about the vastness of the universe, but have you ever stopped to consider how vast the universe really is? In 1977, two unmanned space probes were launched, Voyager 1 and Voyager 2. In 1987—after a 12-year, 4 billion mile journey—Voyager 1 passed the orbits of Neptune and Pluto, completing its mission. Voyager 1 is nearly the fastest vehicle ever made. It continues to travel through space at a speed of 11 miles every second. The closest star to the earth (other than the sun) is Proxima Centauri, a little over 4 light years away. At 11 miles per second, Voyager 1 wouldn’t reach Proxima Centauri until around the year 73,500. That’s amazing. We often talk about the love of Jesus, but how often do you stop to think about the depth of Jesus’ love. The more we are amazed by the love of Jesus, the more our lives will glorify him.